We quickly realised that our local food growing project was about far more than just the food. People were interested in finding out how to do things together and helping each other to give it a go. 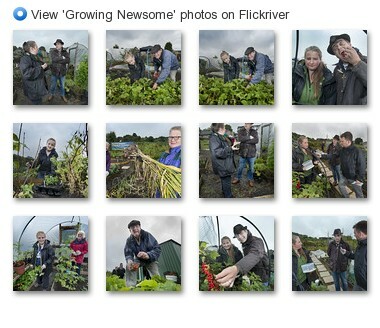 So we organised a ‘Growing Newsome’ event where people could get together and talk. Our members grew plants to give away, ran seed planting activities, made and served the refreshments, and promoted the event. We discovered that each of us knows a little, and by sharing our plants, our skills and our problems, we each took away more than we brought. We discovered that you can begin to grow a community by growing your own food. Our plants are still growing, and so are we.